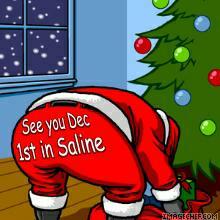 Saturday, December 1st the 32nd annual Christmas Parade is coming to downtown Saline, Mi. The theme for 2007 is “It’s A Wonderful Life in Saline”. The theme was chosen this year in honor of Saline, Mi being twice named in the Top 100 Cities my CNN/Money Magazine. The parade will begin at 5:30, with Michigan Avenue being blocked off. But, you can come early and experience the “Hustle and Bustle” with music and street entertainment at various locations. I started attending the Saline Christmas parade about 18 years ago. At that time, it was short and sweet. Now it is the parade that never ends. 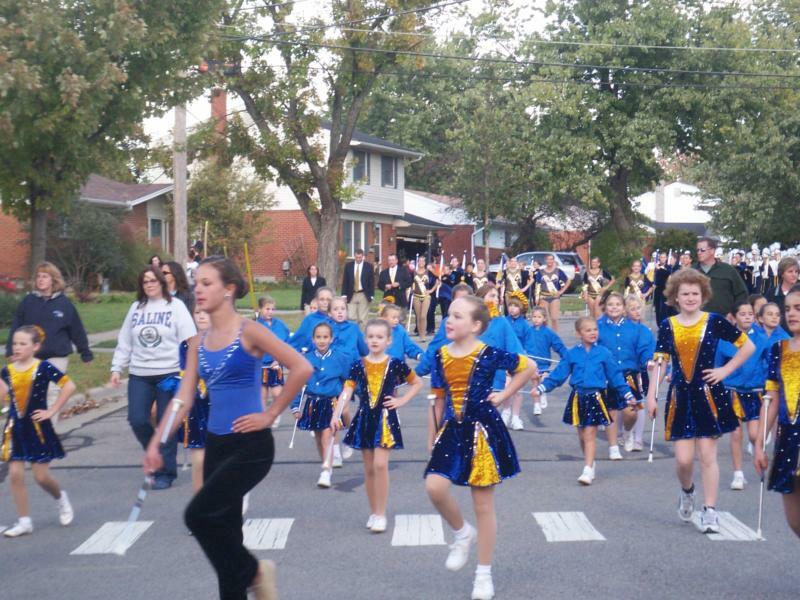 Boy Scout Troops, The Saline Marching Band, day-care centers, senior citizens, Ms. Saline, the twirlettes, floats, Paws for a Cause, Dance Alliance, Girl Scout Troops, churches and just about everyone participates in this annual holiday event. Sometimes I wonder, who isn’t in the parade, but the sides are packed. The Kiwanis Club is always there giving away free hot-chocolate and popcorn. The Saline Christmas Parade is sponsored and coordinated every year by the Saline Chamber of Commerce. Many local businesses also contribute to make it a success. To see the list of sponsors for the 2007 Christmas Parade you can click here. 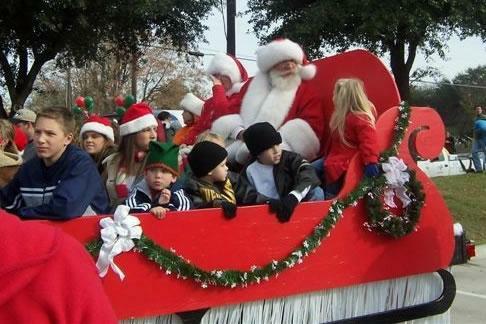 Santa’s Village will be held immediately after the parade in the Chamber of Commerce building in down-town Saline. 1) I have so many fond memories of the parade. One year, when Allyssa was only 7 months old, I held her under my coat nursing during a blizzard, because the other children didn’t want to go and it was soooooooooo cold. 2) Years later I was able to watch her and her dance company Dance Alliance Repertory Company do a Rockettes dance down the middle of the street. 3) My husband coached Ann Arbor Jr Wolverines for 9 years and the year they won the State Championship, we had the whole team march in the parade, passing the football back and forth with the Championship Banner. 4) A few years ago, I was in charge of decorating the down-town area for the Chamber, we had so much fun buying all the accessories to be in the park behind Mac’s Seafood Restaurant and Merchant Memorial Park. 5) For several years, RE/MAX had a float and one year we had the hot air balloon. That was nice it warmed everybody up as it went by. When I sell houses to clients moving into Saline, Mi., I make sure they all know about the Christmas Parade. It is such a great event and being a small community it is so much fun to run into old friends and past clients. Lots of memories at the Saline Christmas parade so I invite you to come out and make some of your own. This is one reason I love living in a small town. Missy – First off I love your site, it looks great! Thanks Ashley, we are still putting the final touches on and when it is really ready to go, I will post on AR and announce it. Very complicated for me. Thanks Cyndee, and looks like you are having a holiday boat parade in your area. Missy, your new outside blog rocks! Wow, this looks great and I know you must be so pleased with it. Linda, thanks I am really excited about the look and now I will work hard to get up in the Search Engines. Here we go. I love your blog and had to comment, all the best.